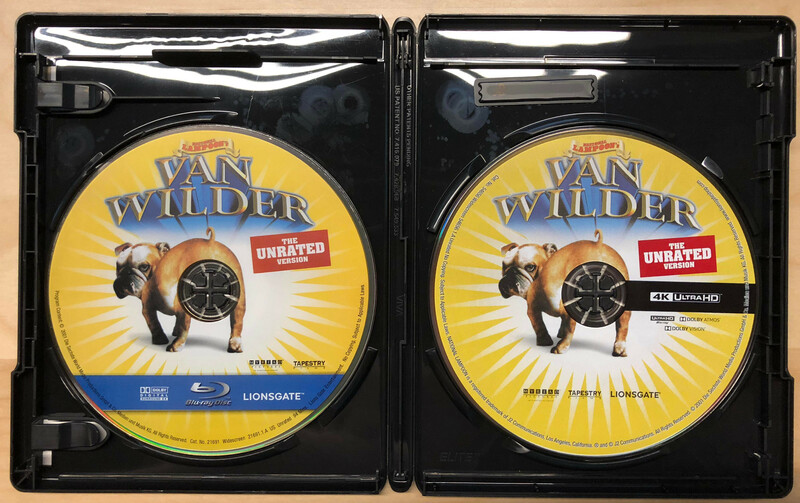 Van Wilder, much to my surprise, still held up after all this time. I found myself laughing out loud during several scenes. It is a type of humor that many will find distasteful, but if you appreciate some immaturity, then you may want to give this one another watch, if for no other reason than to see some actors you enjoyed when they were caught in the midst of the early 2000s. This release itself isn’t anything fancy, but as with other Lionsgate catalog releases, this 4K set is just a couple bucks more than the Blu-ray version and comes with it to boot. As anyone who has seen the original Blu-ray can attest to, there was some skepticism going into a 4K release, as the Blu-ray was less than stellar. Actually, if you get morbidly curious, you can pop in the included Blu-ray and see for yourself, but the long story short is that the Blu-ray release had a lot less detail than one might expect and this 4K release does a much better job of showing what was lost in the previous transfer. While not perfect or anything to write home about, this transfer does look quite a bit better than before. In terms of audio, the Atmos track has no technical issues with it that I could discern, but it also doesn’t get a lot of use. 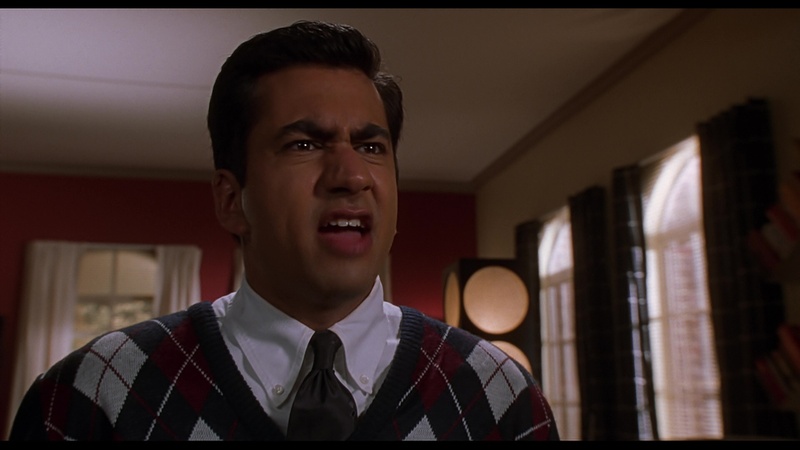 This is not surprising for a comedy from the early 2000s, and the movie sounded perfectly fine. Overall, this is not a release to grab for the technical details, but it definitely is the best version of this film to date. Overall, there is a lot of content here, but it is important to note that not all of the features from the Blu-ray are present on the 4K disc (thankfully, they are on the included Blu-ray). Each of these extras is in upscaled standard definition, so overall, I can say that this release is not worth getting for the extra content alone. However, if you liked the movie and skipped on the Blu-ray, there are some laughs to be had here. Sweet Drunken Idiot Kommentary: Three of the cast members get drunk while playing a drinking game and talk over the movie. Not entirely sure who actually commentating here, but it’s a thing. Not sure it’s worth watching but someone might enjoy it. Party Legends, Pledges, and “Bull”-ies (16m, SD): This is the more standard style featurette where the cast and crew talk about filming Van Wilder. It is actually quite funny and worth the watch, as there are several good stories from the set. 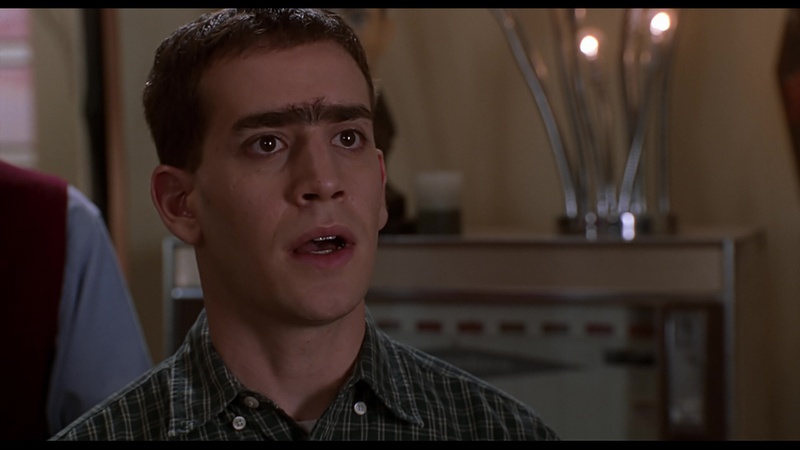 Ultimate College Party Guide (5m, SD): A somewhat comical and not so educational gag guide to college parties, featuring our favorite unibrowed geek showing us scenes of the movie while explaining how you, too, can plan the ultimate party. Gwen-ezuma’s Revenge (7m, SD): A more extended look at one of the more memorable pranks in the film, where Richard Baggs is very, unfortunately, loosening his bowels into a garbage can in front of his would be professional coworkers. During this featurette, we look at the foley artist’s creation of the sound effects as well as the improvisations. Deleted Scenes (9m, SD): There’s a handful of hit or miss gags in this assortment of deleted scenes. If you want some more of the immature humor, then these are worth a watch for sure, even if some aren’t that funny. Outtakes (12m, SD): These were a bit disappointing, as I was expecting a bunch of Ryan Reynolds being hilarious, but this ended up being quite lackluster. However, it is a bit interesting to see how they go through many shoots of improvisations. Burley Bear TV Specials (44m, SD): A series of preview style clips of the film intermixed with cast interviews. This is essentially a PR reel. It isn’t bad, but there isn’t a lot new here. It is kind of cool to see early 2000’s style and TV interviews, though. Note: there is a surprisingly large amount of content in these. Comedy Central’s “Reel Comedy: National Lampoon’s Van Wilder” (21m, SD): A 60 Minutes style promo reel that covers the mysterious and enigmatic Van Wilder, as discussed by his friends and admirers. 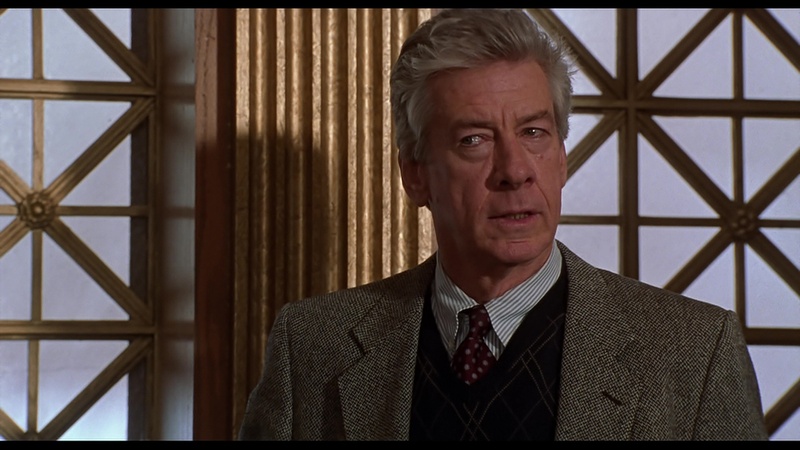 Van Wilder himself appears for an interview about himself. It’s not bad; it’s kind of fun seeing the cast interviewed in character to promote the film. Sugarcult “Bouncing Off the Walls” Music Video (3m, SD): A classic song and one hell of a window into early 2000’s pop-punk rock. As you can see in the images, this release is fairly standard for a Lionsgate 4K title. Apart from the typical black Amaray case, you get a nice slipcover and art on the discs. 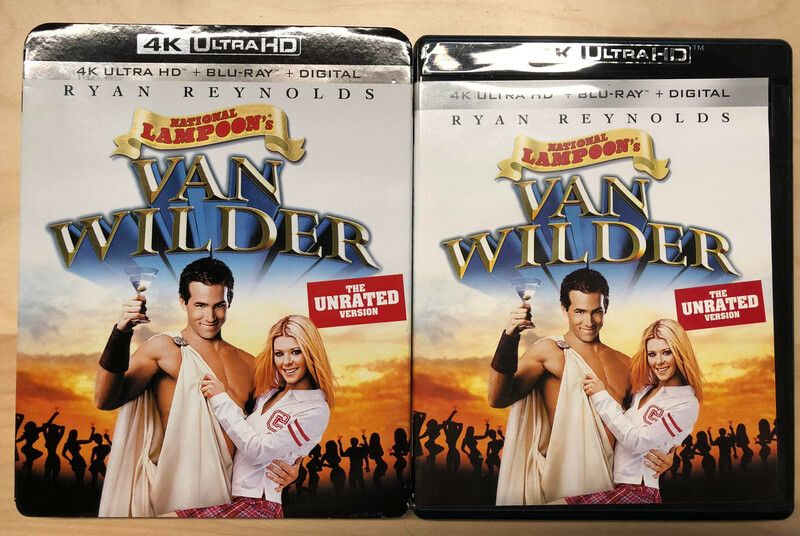 Out of the currently available releases, this 4K version of Van Wilder is definitely the best option if you prefer video/audio quality over the number of films. If you don’t particularly care for picture and audio quality, then the double or triple packs can be a good deal if you can find them.